We are official partners with the parcel shipping services "DHL" and "GLS". Get or send your parcel directly from our shop within seconds. There are no exact delivery times, but in most cases the parcels are delivered to us at noon or in the afternoon. Please be aware that your package will still be on it's way if you arrive in the morning. Do you have questions, complaints or criticism to our partners? For questions, please go to the FAQ. For contact, complaints or criticism go to the DHL contact page. 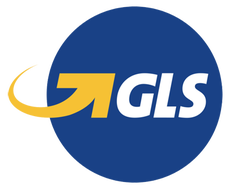 For contact, complaints or criticism go to the GLS contact page.